1/2 teaspoon hot sauce, to taste (i.e. Tapatio, Chipotle Adobo Sauce, Sriracha, Frank’s, etc…). Start off with this small amount and add more if desired. 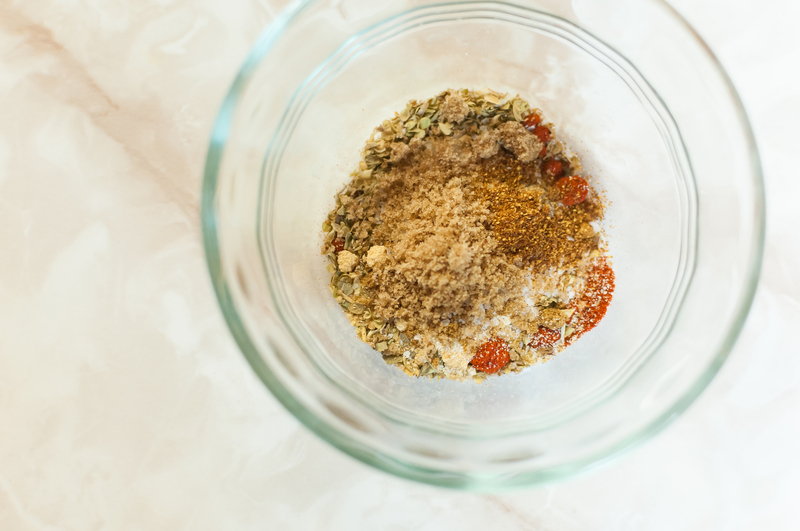 Mix together fish seasoning, paprika, brown sugar, garlic powder, dried oregano, dried thyme, onion powder, cumin, salt and chipotle pepper. Pat fish dry with paper towels and liberally dry rub both sides with seasoning mixture. 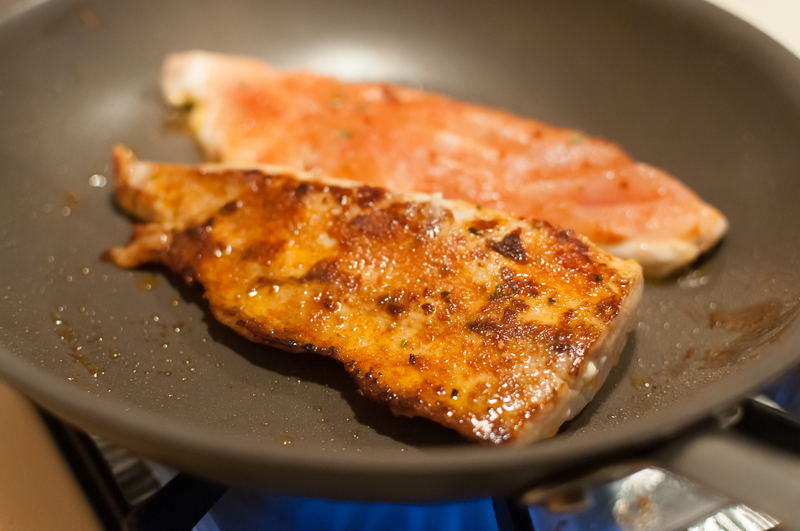 Heat olive oil in a medium saute pan or iron skillet (iron skillet will work best). Cook about 4-5 minutes on each side until blackened and crusty on the outside, and flaky inside. Watch carefully and be careful not to overcook. 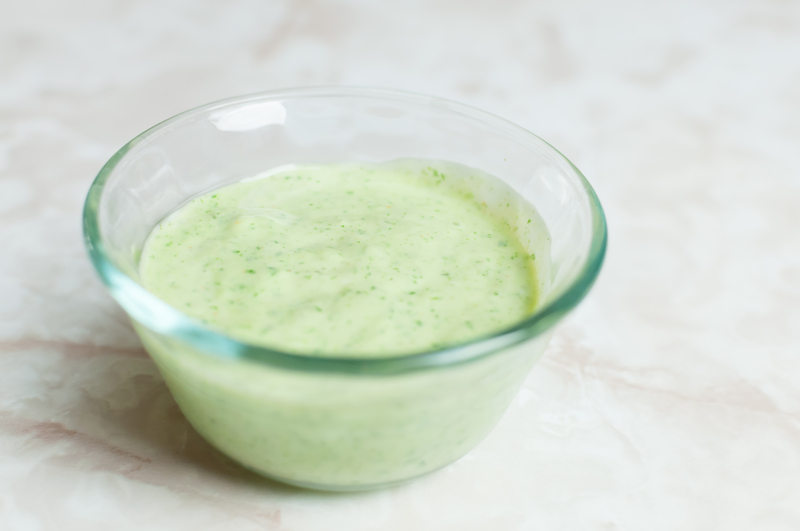 In the meantime, blend all the crema ingredients in a small blender, like a Magic Bullet or food processor. Add a bit of salt if desired. 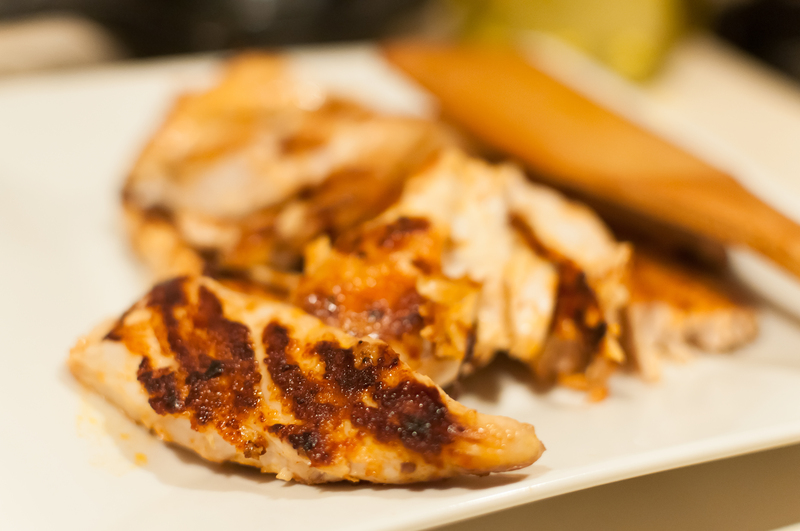 If you’re watching your sodium, it’s still tasty without salt. Set aside in fridge to cool. When the fish is done cooking, remove from heat and set aside. 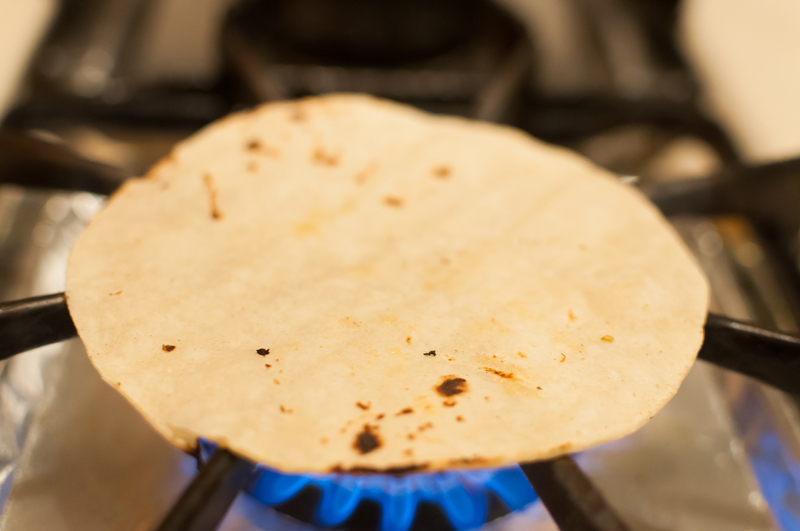 Warm tortillas on your stove top until slightly browned. I only use 1 tortilla per taco so it’s not so thick, and you can better taste the fish and fillings inside. 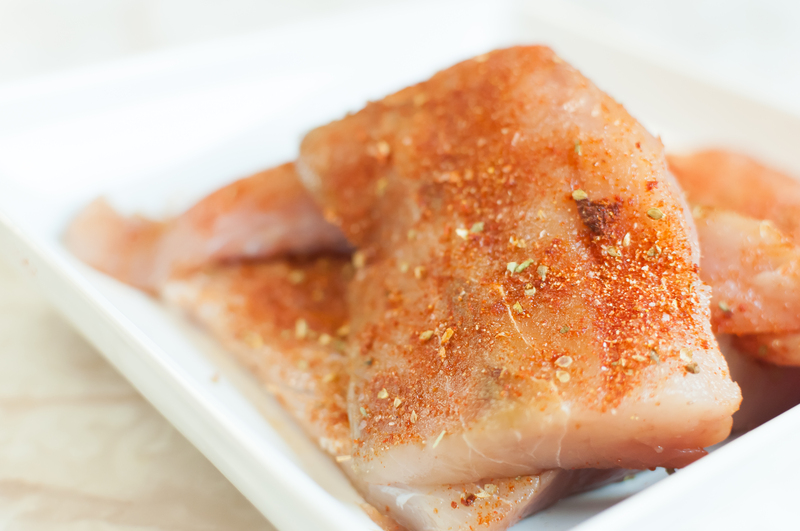 Break fish into medium pieces. 1 fish fillet per person, makes about 2 tacos per person. Set cabbage and pico de gallo on bottom of tortilla and top with some crema. Put fish on top with more pico de gallo, crema and queso fresco over it. Squeeze more lime juice over top, if you like it really limey. Enjoy! We took pictures of our food. I wanted to post it. But I can’t figure out how to do it. We made these tacos tonight. My husband said “hands down, these are the best fish tacos he has ever had”. I recommend this recipe to anyone. The only thing is that my husband added the last half of the lime into the crema. He likes the crema condiment with extra lime.